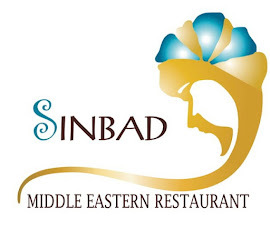 By using or registering as a member of Sinbad Restaurant - Middle Eastern you agree to be bound by all the laws and terms of the site, and this is a separate agreement between you and the site management. Site management may modify these terms at any time and publish the amendments on this page, which are recommended to be visited periodically. Posts belong only to the owner, the site management is not responsible for the content of posts and what may result from them. It is prohibited to speak of any illegal acts or violations of any applicable law in countries represented by the United Nations. It is prohibited to send posts that contain topics of sedition, religious or sectarian, or that harm religions or sanctities or violate their sanctity. Members are not allowed to minimize respect, or abuse of others. Members must respect the privacy of other members or anyone else. It is not permitted to add posts containing personal information to another person without written permission from him. Members are not allowed to attempt to impersonate others, in any way, in the form of account registration or post sharing. Each member is required to maintain the proper level of the site, and to prevent the addition of repetitive and low-content content or purpose, or the bad impact on relations between members. The supervisor has the right to close or delete the discussion as he deems appropriate. The participant may be informed of the reason by means of a special letter, and the reason may be published on the same subject. The administrator has the right to suspend the subscription of the member who violates the terms of service and the site agreement, or in case of attempts to penetrate through his account. The use of the forums is prohibited for any commercial or profit purpose, or posting any advertisement for goods or services, serial messages or messages belonging to hierarchical systems. Prohibits links to any sites that are offensive, hostile, illegal, contain viruses, spyware, or pornographic content on the Internet. Inclusion of inappropriate, disturbing, or problematic images in or out of posts is prohibited. The Administration has the right to remove any infringing image. Before adding a new topic, try selecting the section that best suits your groups. Posts placed in different places may be moved or deleted. Try using a clear title for your topics. Do not use an address as "Hello" or "Please help"; the title should reflect the subject's content. Responses must remain focused in the context of the main theme of participation, and should not go beyond them. It is not allowed to register with inappropriate names, close names of former members, or names with special considerations. The administrator has the right to delete and not accept the infringing names. More than one account per person is not allowed, and the administrator has the right to delete multiple accounts. Account images (Avatars) are images selected by members to appear next to their names in the forums and profile. The use of inappropriate or illegal images is prohibited. The administrator has the right to delete the images expressed when they violate the previous conditions. Private messages are used to communicate privately and confidentially, and are in themselves useful in many cases and have rules and etiquette to ensure that they are not misused. Members who receive unsolicited private messages can notify the site's management to take appropriate action. In case of abuse of private messages, the site management has full authority to verify complaints of affected members only when they are asked to intervene. When you abuse the private messages of a member or send messages to a large number of members in a short period of time, this may result in the user being denied access to them or disabling their account. If there are any violations of any kind by a registered member, the administrator of the forums may direct the alert to him first, and may disable his personal file without notice, depending on the type of violation. Sinbad Restaurant - Middle Eastern has the right to disable any of the services offered by the site or to stop the site as it deems appropriate without prior notice and without liability for what may result. "Terms of Service"
Commenting contrary to public morals may result in termination of your subscription to the site. All rights reserved to Sinbad Company. Watermark theme. Powered by Blogger.